Industry sectors across the world want to ensure they are compliant when it comes to storing dangerous liquids needed for Aviation tanks and commercial sectors; they also want to ensure they have the best product to do so. Step in Fuelchief’s SuperVault™ MH fuel tank. Fuelchief take the hassle away from consumers when it comes to meeting strict safety protocol; by having engineered a compliant customised fuel tank called the SuperVault. 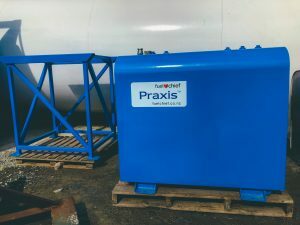 This fuel tank is 4-hour fire-rated and is recommended due to its fire protective safety for the aviation and commercial sectors. 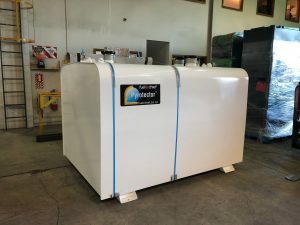 The SuperVault tank offers elite fire-rated, bullet-proof, impact-resistant technology which makes it the safest and most durable tank in the world. In many circumstances where diesel or petrol needs to be stored in commercial buildings, the SuperVault is the only permitted tank. The SuperVault’s has been engineered to withstand conditions – from the sub-zero temperature of the Arctic to the blistering heat of the desert. The Pyrotector™ Fire Tank is a 2-hour fire-resistant flammable storage tank that offers a light-weight solution to your fuel storage problems. The SuperVault™ Tank offers the best in fire-rated, bullet-proof, impact-resistant technology of tanks in the world.